﻿ I grew as a person over the course of this time in Kunyu mountain Kung fu academy. The reason I came to Kunyu mountain martial arts academy was to get fit again, learn kungfu in an environment which supports the reasoning. After studying kung fu here for seven weeks I have to say that I grew as a person over the course of this time. I learned that I can achieve things I thought I could never achieve.However I finish all of them that wouldn’t have seen possible before, if it wasn’t for all the great people in this academy, If it’s your master who you don’t want to disappoint or the large amount of good friends you make while you here, who are always helpful and coped with the same struggles in their first weeks. Besides,the location in the Kunyu Mountain is awesome and all of the staff is very competent.I had a tremendous time being here and might come back in the future. 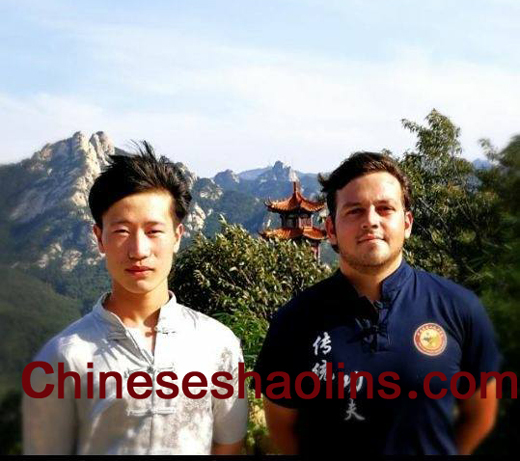 I choose China to learn kungfu because China is the birthplace of the kungfu and the best Shaolin masters are in china. I want learn from the best also I speak with Israeli friend who recommend me kunyu Mountain,a very good place. I gain a lot of things from Kunyu academy, first of all, I learn how relax myself and My body; Secondly, I learn who control my body and improve my power and acrobatic skills;Thirdly, I push myself a lot more than I ever do before. All the Masters help me a lot during my time.They are willing to help you and answer your Question all the time, also during the training, they help you push yourself more than that you ever believe its possible. The other students in kunyu shan help me a lot to achieve my goal in the training and enjoy my time in kunyu Mountain. The early morning in kunyu Mountain are very special,and we started our day with hour of taichi,which is very good way to start the day and help you relax yourself and your mind. I like the place of the school very much, for its very beautiful place in the weekend,it's very nice just go out for travel in the close area.In the meanwhile,you can climb mountain and go swim in the close lake or just found peaceful place for meditation.